"We truly appreciate your trust in selecting GEOLUXE® for your valuable project. We are fully committed to provide you our best products and services." 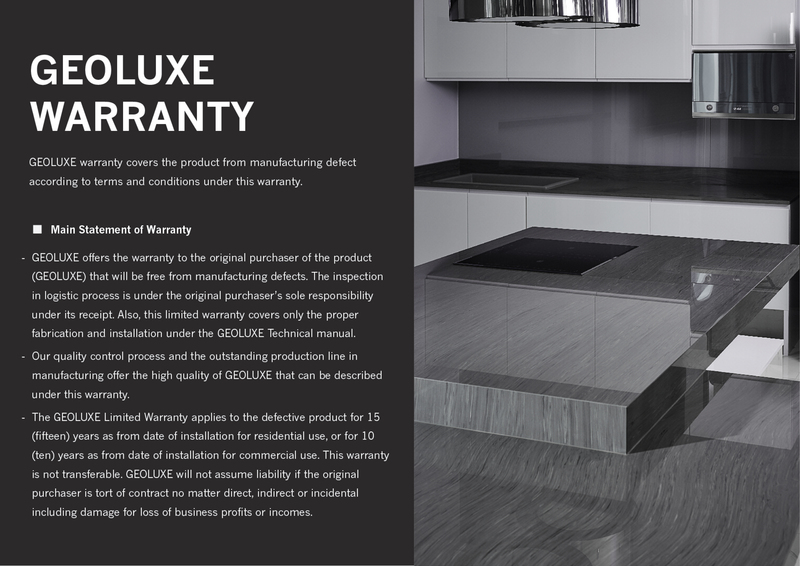 GEOLUXE® does not provide any warranty on the improper or incorrect use of its products. Therefore, the company is not liable for any responsibility and cannot accept claims for any damages of any kind. GEOLUXE® is industrially handcrafted material making it unique in every single slab and offering the unmatched durability and minimal maintenance. To keep it looking and performing like new, just simply follow these guidelines to take care of your GEOLUXE®. Polished surface: Just mild soap and warm water are all required to maintain its shine. Honed surface: It is required more daily maintenance than polished finish. Metalmarks, fingerprints and other signs of daily living are more visible. Most of these marks can be easily removed with cleaning products such as soap, water, or a mild detergent. Apply a small amount on a soft damp cloth and wipe the surface, then rinse thoroughly with clean water to remove residue. If liquids are spilled, it must be dried immediately. The faster you clean and dry spills, the easier the stains are removed. Do not use alkali solution with pH higher than 10 on the product, and avoid using metal scouring pads and steel wool. Microfiber cloth is generally recommended. Recommend to use the cutting board at all time for your health and safety. For special and complete care and maintenance guidelines and precautions, click here. To serve your special needs towards design and fabrication, please find technical resources and supplementary presentation materials to support any project. GEOLUXE® is a luxurious Pyrolithic Stone for surface covering. Pyrolithic Stone™ is the new category of the world’s material that has noble beauty of natural marble and superior technical performance. It is 100% mineral-based material processed by Geomimicry™ forming technology. What is Geomimicry™ forming technology? Inspired by the birth of natural marble, Geomimicry™ is the manufacturing process to produce Pyrolithic stone. It emulates the same natural igneous to have marble-like stone (vein-through effect) but offers superior properties. What are the differences between GEOLUXE® and other product? Compared with Sintered Stone, GEOLUXE® is the one and only product having both vein-through effect like marble and superior technical performance such as durability and stain resistance. Additionally, without resin GEOLUXE® is resistant to UV making its colour unfaded. Therefore, it is highly suitable for both indoor and outdoor applications. What is the format range of GEOLUXE®? What application is GEOLUXE® suitable for? GEOLUXE® can be used in both indoor and outdoor for a variety of applications such as kitchen countertop, vanity top, firepit or fireplace, and all other surface coverings (e.g. floor, wall, step, staircase). Where and how can I buy GEOLUXE® product? Please find our authorized distributors in 'WHERE TO BUY' section. They can advise you not only the estimated price but skillful fabricators who can work well with GEOLUXE®. Where can I see GEOLUXE® product on display? We recommend you visit our authorized distributor stores, see more information via 'WHERE TO BUY' section. How much does GEOLUXE® cost? The price of GEOLUXE® is varied by the usage area. If you want a price quotation, please find and contact our authorized distributors in 'WHERE TO BUY' section. We offer a 15-year warranty for residential use and 10-year warranty for commercial use. However, GEOLUXE® does not provide any warranty on the improper or incorrect use of the product and the company is not liable for any responsibility and will not accept claims for any damages of any kind. Please find the detail in 'SUPPORT' section. Where can I contact if I have a problem with GEOLUXE®? If you have any problem with GEOLUXE®, you can contact our authorized distributor or contact GEOLUXE® customer service via 'SUPPORT' section and then 'CONTACT'. Is the color and vein pattern of each GEOLUXE® production lot the same? Since our product mimics the creation of natural marble, each different lots will have a chance of color and pattern variation. Do you provide the slab identification? Yes, we provide an identification code for every product of GEOLUXE®. You can ask your fabrication or your installation company. Is GEOLUXE® safe for food preparation and food contact? Yes. 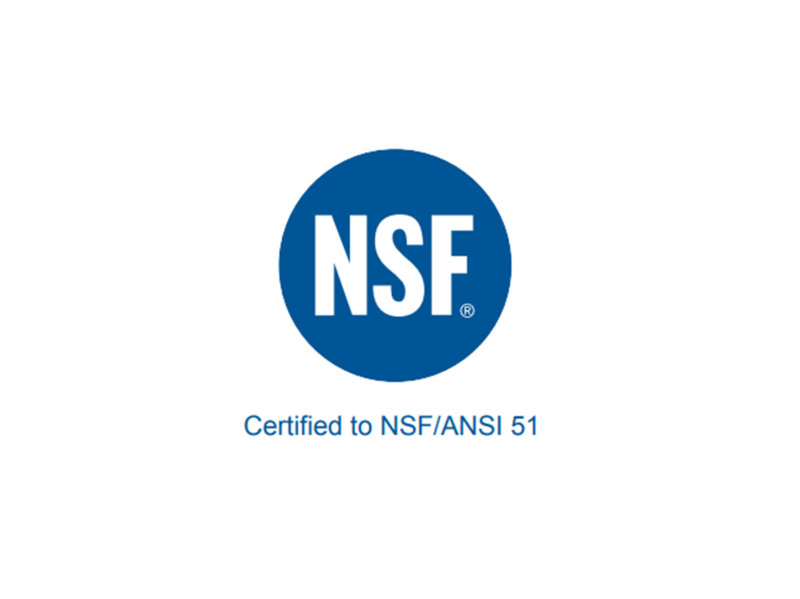 GEOLUXE® is a foodgrade product, low-porous and prevent the growth of surface mold and bacteria, certified by NSF. Does GEOLUXE® withstand the heat? GEOLUXE® can resist to high temperature without any burning or scorching mark. However, it is recommended not to place any object with temperature over 300°C to prevent crack due to thermal shock effect. With safety first, if you would like to leave a hot pot or hot pan for the long period, always use trivets to place it on. Is GEOLUXE® resistant to stains? Referred as to the ISO standard of determination of resistance to stains, GEOLUXE® passes Class 5. In other words, GEOLUXE® can be stained but the stain can be cleaned by warm water with mild detergent if it has been left for less than 24 hours. However, we recommend to remove the stain as soon as it has been found. If you want to know more, visit the section 'SUPPORT' and then 'CARE & MAINTAINANCE'. Please note that GEOLUXE® is stain resistance, NOT stain proof. How can I clean my GEOLUXE®? For your daily cleaning, you do not need any special product and method. Just simply use mild soap and warm water to maintain its shine. Normally, all stains can be removed if it has been left for less than 24 hours. It is however better to remove the stain as soon as it has been found. In some cases, a specific cleaning agent and method are recommended for difficult stain removal. Please visit the section 'SUPPORT' and then 'CARE & MAINTAINANCE' for further detail. Can I use the glass cleaner to clean GEOLUXE®? No. The recommended tools and cleaners for daily cleaning are; Cloth, Warm Water, Mild soap. To prevent its sheen of all finishes and keep it long-lasting, it is recommended not to use following cleaner agents to clean the surface; Alkaline solution, Glass etching acid, nail remover, Abrasive cleaners. In case of deep stain removal, you need to follow ‘guideline for difficult stain removal’ method. Please visit the section 'SUPPORT' and then 'CARE & MAINTAINANCE' for further detail. Is GEOLUXE® resistant to an acid such as citric acid and vinegar? Like any other material, materials harder than GEOLUXE® can cause scratch on its surface. Therefore, it is recommended to avoid using GEOLUXE® with such harder materials like ceramic knife and bone china plate. Moreover, scratch visibility also depends on the degree of glossiness and product color when reflecting the light. The glossier and the darker the product is, the more visible the scratch is. 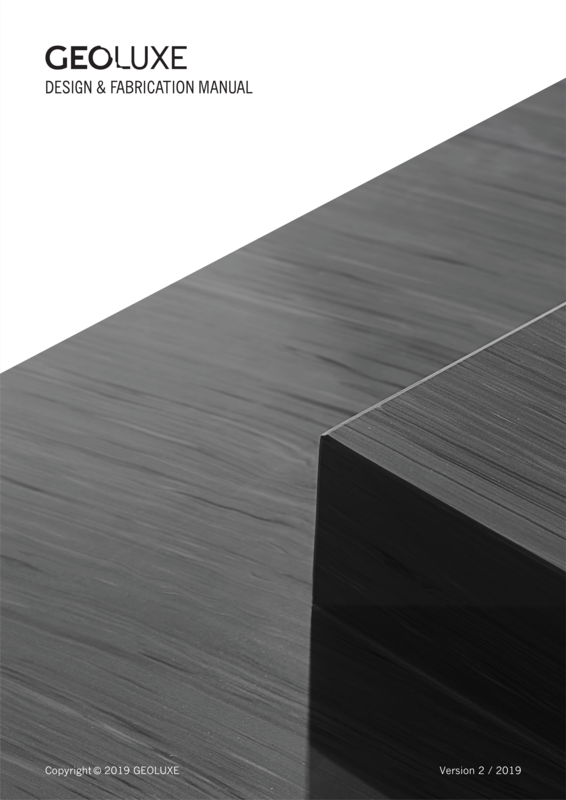 Is there any problem to use a knife cutting on GEOLUXE® countertop? No. Cutting on GEOLUXE® surface causes no problem of deep scratch mark as long as ceramic knife or harder material is not used. However, metal mark resembling the scratch can possibly be visible instead. It is actually a residue from metal rubbing against the surface and can be easily removed as shown in Care and Maintenance manual. Accordingly, it is recommended to always use chopping board to prevent any marks. Is GEOLUXE® resistant to UV or sunlight? Without resin, GEOLUXE® is highly resistant to ultraviolet (UV) light and will not fade or degrade over time making it perfect for both indoor and outdoor applications. Is there any surface treatment on GEOLUXE®? To assure the absolute quality of GEOLUXE®, Nanocoating process is used to treat the surface to enhance its shininess and its efficiency for all usage condition as well as enhance the ease of care and maintenance. Our process of Nanocoating is surely safe and hygiene for your health. Is Nanocoating agent used for surface treatment harmful to countertop user? No, it is not. GEOLUXE® uses industry-approved and foodgrade nanocoating agent. It meets all applicable GREENGUARD standards. What is the lifetime of GEOLUXE® Nanocoating and can it be retreated? The lifetime of Nanocoating is about 5-10 years upon the condition of use. In case you would like to extend its lifetime, GEOLUXE® can be retreated. What should I do if I would like to retreat the surface? Professionals can help you on surface treatment. Please contact GEOLUXE® customer service via 'SUPPORT' section and then 'CONTACT', if you want to retreat. 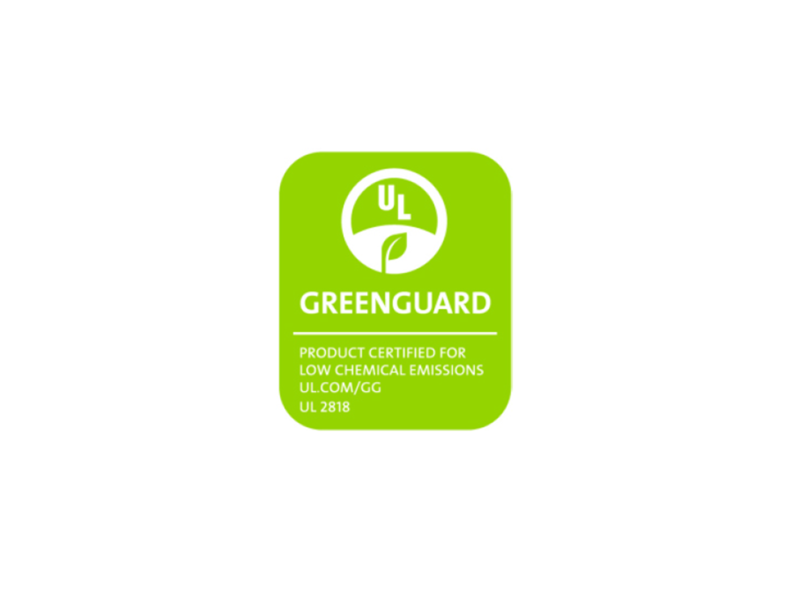 Is GEOLUXE® a green product? GEOLUXE® is committed to the responsible stewardship of our natural resources. That is why we produce a highly durable and stable material. 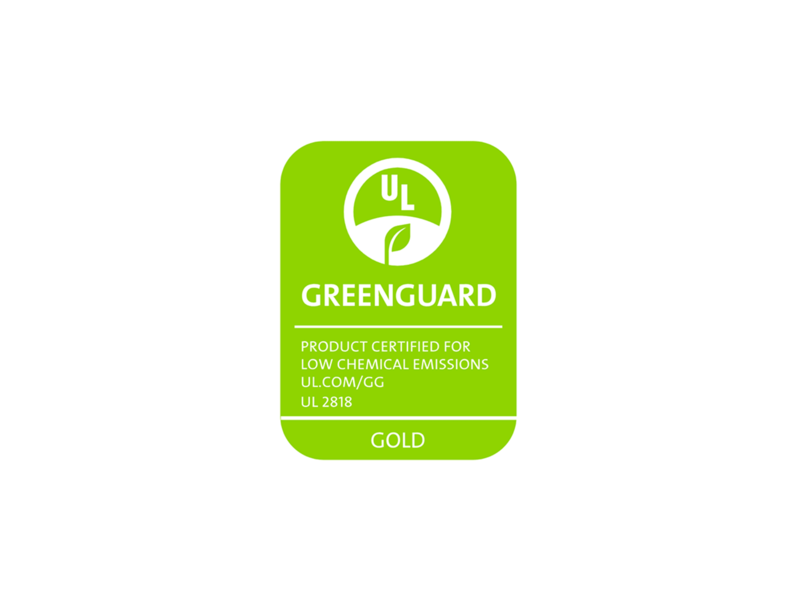 GEOLUXE® is certified by GREENGUARD as a low-emitting product for indoor air quality. Tests have independently confirmed that GEOLUXE® has no harmful emissions of any kind. 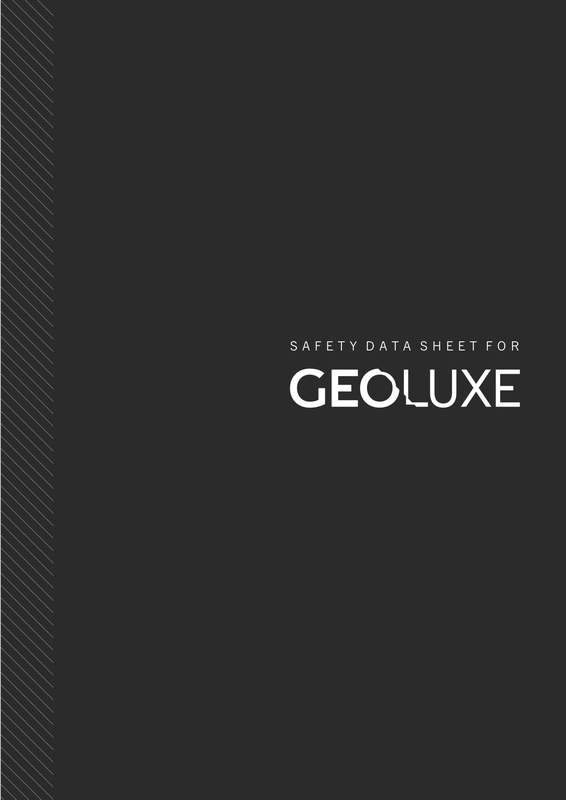 Can I see GEOLUXE® technical specification, MSDS or any certification? Yes, you can find all GEOLUXE product documents in 'SUPPORT', then 'DOWNLOAD' section. Can I use GEOLUXE® for outdoor kitchen countertop? Yes, you can. 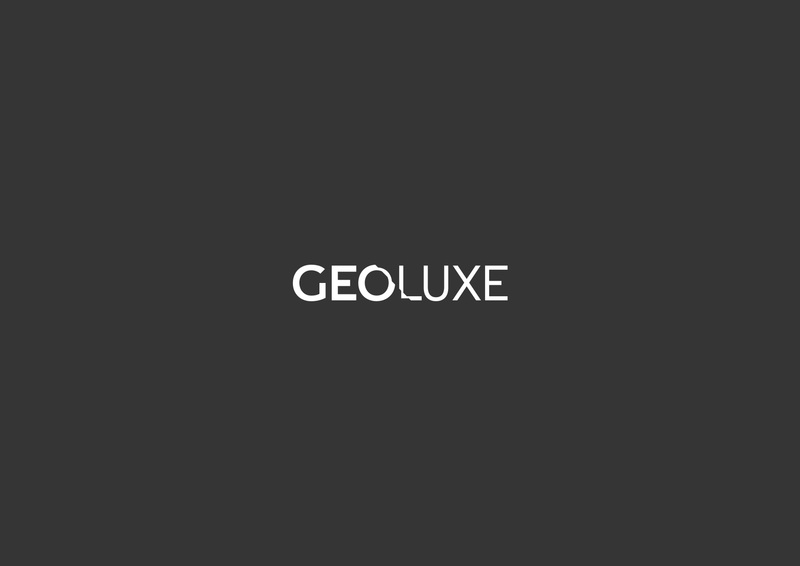 GEOLUXE® itself withstands the sunlight and UV not to be faded or degraded. However, please make sure it is installed properly as other materials also do. Can I use GEOLUXE® for fireplace and firepit? Yes, you can use it for both indoor and outdoor. Please make sure that it requires proper installation as other materials also do. For outdoor application, has the property of GEOLUXE® been changed when time goes by? Without resin, there is nothing to be worried about color fading and property degrading. Is GEOLUXE® resistant to ice and thawing? GEOLUXE® itself withstands very low temperature, but it requires a proper structure and installation indeed, otherwise different thermal expansion between GEOLUXE® and adhesive and other structural materials probably causes cracking. Is GEOLUXE® resistant to rainwater in case of outdoor use? Rainwater can leave a mark on the surface, but it can be removed. Please clean it at soonest for effortless cleaning. However, if the stain has been left for long, please follow Care and Maintenance manual available on the website in 'SUPPORT' section. Does outdoor application of GEOLUXE® need special care and maintenance method? There is no significant difference in care and maintenance between outdoor and indoor uses. Just simply follow the guideline in Care and Maintenance manual available on the website in 'SUPPORT' section. However, for outdoor, it is recommended to use a cover to protect the stains and ease maintenance when a kitchen is not in use. Can Barbeque grill be installed directly on GEOLUXE® countertop? There must be a support to bear the load of the grill. Do not put it directly on GEOLUXE®. Heat insulation pad is required underneath the grill to prevent direct heat transfer to the slab. Besides, it is recommended to install the grill away from the edge of GEOLUXE® at least 5mm (1/4 inch) and strictly follow the installation guideline of the grill. Does GEOLUXE® resist to the heat from Barbeque grill? GEOLUXE® itself can withstand the maximum temperature at 300°C; however, a proper installation is strongly required. How much load of the grill can GEOLUXE® countertop carry and what does installation structure look like? In case of outdoor kitchen countertop, concrete-reinforced structure is recommended, and the maximum load of the grill that GEOLUXE® can carry is 100 kg/Sqm. Does GEOLUXE® use the same fabrication method as other materials like Quartz and natural marble? How to fabricate and install GEOLUXE®? You can find all necessary stuff for professionals at professional resource available on our website e.g. Design and Fabrication manual, Fabrication VDO in 'PROFESSIONAL' section. Is GEOLUXE® easy to chip? The edge area is the most sensitive part of the countertop. It can be caused chipping by an accidental or external impact such as dropped or hit by other hard material. Do not hit with the pointed or heavy impact. Can I repair my GEOLUXE® when chipping? Please follow our fabrication manual. You can find all necessary stuff for professionals at professional resource available on our website e.g. Design and Fabrication manual, Fabrication VDO in 'PROFESSIONAL' section. Can I use any fabricator to fabricate and install GEOLUXE®? It is strongly recommended to use only 'Certified Fabricators' or Fabricators who are trained by GEOLUXE® technical service team, so that they are able to use the right tools and methods to fabricate your beautiful GEOLUXE®. The list of trained fabricators can be asked from our authorized distributors near you. Who should I contact if I have questions about my countertop fabrication and installation? Your distributor or installation company will be happy to answer any question you may have or you can contact our customer service via section 'SUPPORT' and then 'CONTACT'. Can I work with a builder, remodeler, architect, designer or kitchen and bath store to get GEOLUXE® for my house? Yes. You can ask the builder, remodeler, architect, designer, or kitchen and bath store to use GEOLUXE® for the surfaces you desire. If they don't already know how to get GEOLUXE®, they can contact our authorized distributor near you to find a retail location nearby. Please find our authorized distributors in “WHERE TO BUY” on GEOLUXE® website. Should you have any questions about product, dealer or to receive technical support. We make every endeavor to respond to all your questions and requests. Please feel free to contact us by completing the information below. A GEOLUXE® representative will promptly get back to you.